There’s one thing Eon Productions could do for the 50th anniversary of the first James Bond movie, Dr. No, that could be done for minimal cost, evoke the series’ long history and might get at least some fans pumped up. Bob Simmons, subbing for Sean Connery, performing the gunbarrel sequence that would be used in Dr. No, From Russia With Love and Goldfinger. 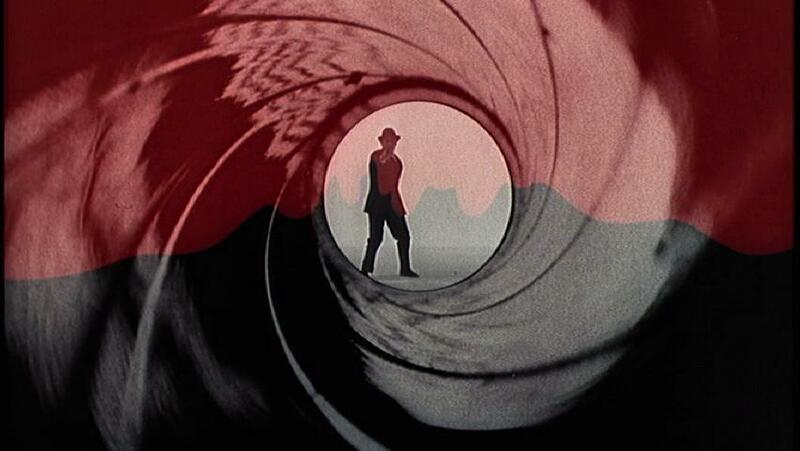 Film a gunbarrel sequence to start out the movie with Daniel Craig’s 007 wearing a hat. You remember the hat, don’t you? In about 10 seconds, the gunbarrel sequence evokes danger as the audience views Bond from the vantage point of an assassin attempting to kill 007. Bond, aware of the peril, turns and fires, and we see what’s supposed to be blood come down from the top of the screen. Bob Simmons, Sean Connery’s stunt double, subbed for the star after title designer Maurice Binder had devised the gunbarrel logo to start off Dr. No. We don’t know if Connery wasn’t available. Regardless, Simmons looked enough like Connery (certainly at a distance and wearing a hat) so nobody would notice it wasn’t the star of the movie who walked out and suddenly fired at the audience. Thus, began a tradition, that lasted 20 movies, through, 2002’s Die Another Day, where the gunbarrel logo started off a 007 film with some variation of The James Bond Theme. The hat disappeared when Roger Moore assumed the role with 1973’s Live And Let Die; it’s our understanding a version with Moore wearing the hat was filmed but it obviously wasn’t used. So the traditional gunbarrel was scrapped, with a new one (without the Bond theme) featuring star Daniel Craig just before the main titles. Wilson said in 2008 that “We’ll probably go back to the traditional style,” for Quantum of Solace. It didn’t turn out that way. Craig’s second gunbarrel came at the end of the movie, just before the end titles although with a traditional James Bond theme arrangement. We don’t take it for granted the gunbarrel will back in any way, shape or form. Wilson, Broccoli and director Sam Mendes may decide to dispense with a gunbarrel altogether as far as we know. But *IF* one is included, having Craig wear a hat would be (pun intended) a tip of the cap to the past that’s subtle. The series did a special gunbarrel with Pierce Brosnan in Die Another Day, but it was hardly subtle. Brosnan “fired” a CGI bullet at the audience (and supposedly into the barrel of the assassin following Bond). If Wilson is serious about Skyfall having “a magical Goldfinger feel,” then a traditional gunbarrel with Craig sporting a hat (as Simmons, Connery and George Lazenby did) would be a good place to start.